Dr. Benjamin Tehrani, DPM, AACFAS is a top podiatric surgeon and founder of King's Point Foot and Ankle Specialists in Downtown Los Angeles, CA & Beverly Hills, CA. As a distinguished health care provider, Dr. Tehrani completed an internship in general surgery, an accolade only a handful of podiatric surgeons hold in the United States. Dr. Tehrani provides a wide range of podiatric services, 24/7 house calls, and telemedicine options. Common issues he treats include ingrown toenails, fungal nails, toe problems requiring surgery, heel and nerve pain, metatarsal fractures, and diabetic foot. He performs endoscopic procedures of the foot and ankle and creates custom orthotics for men and women for all occasions. Growing up with a father in the fashion industry, Dr. Tehrani prides himself on providing the best aesthetic outcome, in addition to treating the underlying medical problem. His goal is for each person to leave his office feeling confident and empowered to get back on their feet. 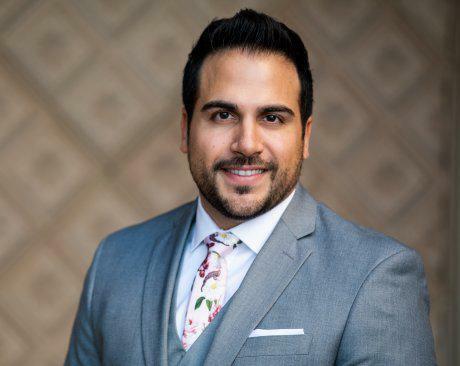 Before opening his private practice in Los Angeles, Dr. Tehrani completed a surgical residency in elective and reconstructive surgery of the foot and ankle at Maricopa Medical Center, a county hospital in Phoenix. He held the important role of chief podiatry resident for an underserved population, working at a clinic that treated over 18,000 patients during his tenure. He performed hundreds of surgeries on simple and complex foot and ankle pathologies, including those sustained by burn victims. Dr. Tehrani has played the piano since the age of seven, and he aspires to own a boutique music studio in the future. Dr. Tehrani enjoys traveling, weight lifting, basketball, and spending time with his friends and family.